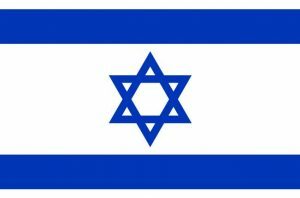 Earlier today, the Israel Tax Authority (ITA) released a draft version of their plans to tax proceeds generated by initial coin offerings (ICOs). Under the plan, the ITA would impose a value-added tax (VAT) on profits generated from ICOs, although the tokens themselves would not be taxed. The plan also creates two distinct categories for ICOS, with “service” and “sales” businesses being taxed in different ways. Under the plan, most ICOs and secondary market token profits would be subject to the same tax rules as any cash purchase. As CoinDesk noted, this would create a situation where the amount of taxes owed by an ICO issuer may depend on when the taxes on their gains are paid, as the value of their sold tokens will almost certainly fluctuate. Two companies could sell the same number of tokens for the same amount of money, but have completely different tax liabilities depending on whether they settled their VAT taxes during the year or at the end of the year. The proposed rules treat “sales”-based ICOs much like any other equity fundraising tool, and require founders to meet standard ITA bookkeeping requirement after raising 15 million Israeli shekels (roughly $45 million). Costs incurred from developing and maintaining the token’s blockchain would be deductible from the final taxable amount, although other expenses like marketing may not qualify. Gains made from selling tokens on the secondary market would be taxable in a manner similar to U.S. capital gains rules, while tokens issued as payments to employees and contractors would be taxed as standard income for their value at the time of payment. The draft rules do create some exceptions for blockchain-based services — managing medical records, for example — where the tokens themselves are of incidental or negligible value. In these cases, the tokens sold are treated as a service fee rather than as an asset. Interestingly, these cost of these “service” tokens can be deducted as standard business expenses, and grant the token holder a “perpetual right to receive service from the issuing company.” Secondary market purchases of these tokens, however, would be subject to the same rules as “sales” tokens. The ITA is actively soliciting public input on the proposed rules.